This blog and the articles I write take a lot of time and effort. Please make a donation. Her faith in Tzaddikim saved her husband! See You in the Beit Hamikdash! This teaching expresses the greatness of the Baal Shem Tov, the Maggid of Mezeritch, and the Alter Rebbe, and explains that through learning their Chassidus, we connect with their lofty level. 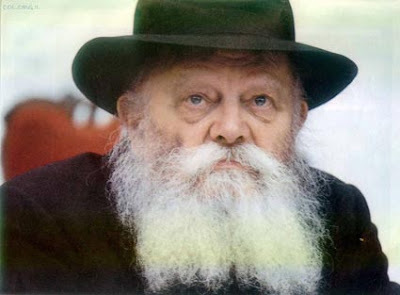 The Tzemach Tzedek writes about the Alter Rebbe: Also from my grandfather, may his soul rest in Gan Eden, we heard predictions of the future [that were fulfilled] to a hairsbreadth [i.e., with total precision]. In order for the light that transcends the Hishtalshelus to enter the world in a settled manner, the light is not enough; this can only be accomplished through G–d’s very Essence, which can reconcile all opposites. So will it also be in the Messianic age, when the purpose for which G–d created the world will be fulfilled—“to make a dwelling place for Him in the lower realms [i.e., this physical world].” [“For Him”] means a dwelling place for His Essence. G–d’s Essence will enable the combination of physicality and spirituality, such that “The glory of G–d will be revealed, and all flesh will see.” This means that the physical flesh will perceive G–dliness, and it will rest there in a settled manner. This is the inner meaning of the Tzemach Tzedek’s expression “also from my grandfather, may his soul rest in Gan Eden, we heard predictions of the future.” The expression “predictions of the future” alludes to the revelations of the Messianic age. 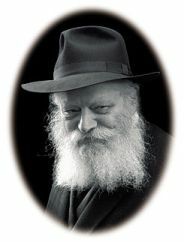 The Alter Rebbe imbued all this into the teachings of Chassidus Chabad. By learning Chassidus we “take” the highest levels, and even the “hidden light,” and even higher, and this descends into the intellect of the Divine Soul, until it reaches the understanding of the intellect of the Animal Soul, until the glory of G–d will be revealed, and even all flesh will see, with the arrival of our righteous Moshiach, may it happen very soon. Likkutei Sichos, Vol. 4, pp. 1137-1138-1139. The “contraction,” in which G–d’s infinite light was hidden in order to make it possible for the worlds to be formed. This level of divine light stemmed from a level that transcended this one. See Sefer HaMa’amarim 5670, Noach. In my own words: The Baal Shem Tov and the Maggid of Mezeritch were able to see from one end of the world to another, and perceive everything that took place, including future events. The Alter Rebbe had the additional power to perceive these events with total accuracy. The reason they possessed this power was that they perceived a level of G–dliness that transcends all limitations, G–d’s very Essence as it were, such as will be revealed when Moshiach comes. This enabled their perception to transcend the limitations of time and space. We are granted the ability to connect with these lofty levels through learning Chassidus in general. Chassidus Chabad enables these lofty levels to permeate the person, and even the intellect of his Animal Soul. This prepares us for and hastens the coming of Moshiach, when this sublime level will be revealed and permeate one and all. *and promoting the observance of the Noahide Code amongst non-Jews.